Spotted donkeys. 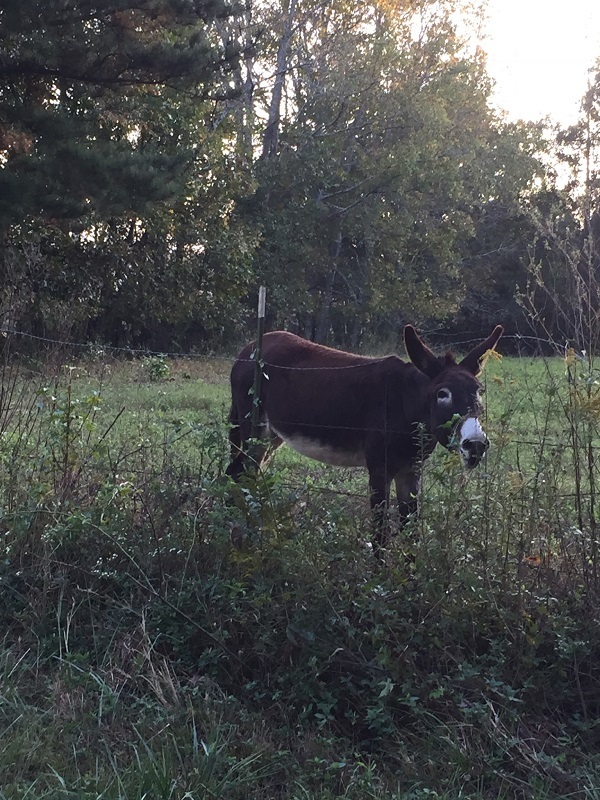 Near our old house, there were some donkeys in a field. We drove by there the other day and a new housing development had moved in, displacing them. It amazes me how much we see every day without really seeing it. As you reminded us, though, God sees it all. He has placed it there with divine purpose. And we see it just at the precise moment we are meant to, so that we are blessed and/or learn something. It is finally fall here in East Tennessee. As I walked into the office, I could see my breath in the air. The sky is a brilliant blue and there is a tinge of color to the leaves. It seems like there are way more geese at the pond than in years past. Perhaps, though, like the spotted donkey, they’ve been there all along, but I’ve been too busy to see. Hope you have a blessed day. You have already blessed mine. Yes, Yes, Yes, Anna. To everything you said!! 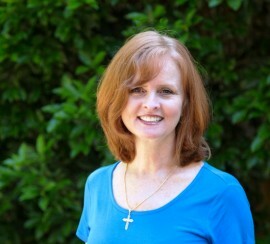 Thank so much Julie, love reading your/God’s thoughts! God often speaks to us in the most unusual ways. Thanks for listening, and sharing! Nothing makes a writer’s day more than what you just did. Yes, animals catch our hearts. And surely God speaks to us through animals. What an amazing story you have—you joined the Audubon Society! Surely the Lord is in this passion I your life!!!! And I wish I could set up a web cam on my donkey…. oh, Julie. Loved your words this morning. The Good Shepherd is teaching me to dig deep, to think, to ponder His words. A couple of my cousins have donkeys in with their cows. We always stop and look for them when we drive past. I think they are special because of the cross they have on their shoulders from carrying our Lord. I can’t ever see one w/o remembering that and I think He does as well. I hope your day is wonderful and your week is as well..
Melinda, Rick DID point on the cross on their backs. I wanted to tie it into the post, but it seemed to go in a different direction. And I thought about how Jesus rode on a donkey, when He could’ve used a champion horse! Love your thoughts–how The Good Shepherd is teaching you to dig deep, to think, to ponder His words. Hugs from my little cabin in the woods–right up the road from the spotted donkey. Donkeys were the traditional ride for the kings of Israel, or so I can remember hearing once upon a sermon. 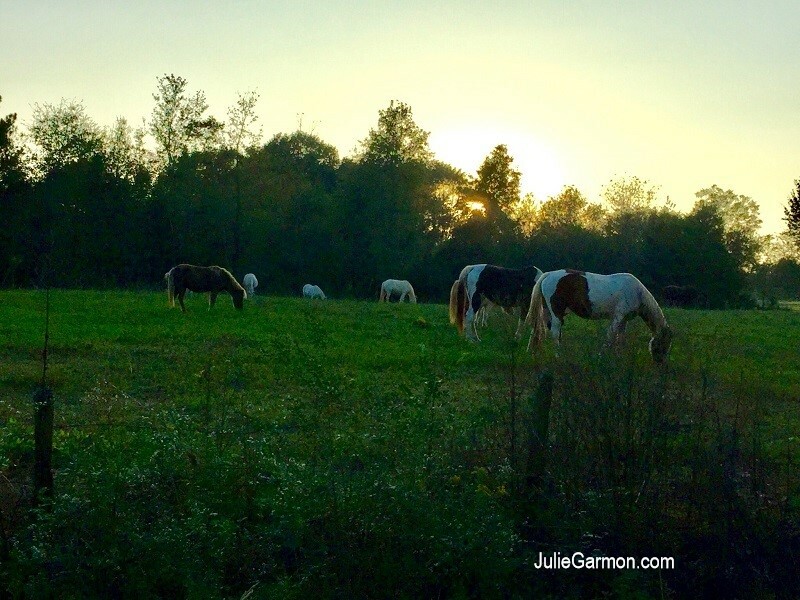 I used to pet-sit for a lady whose brother kept horses on her place–and he added spotted donkeys! So I have seen them too. The dogs and I would visit them, sweet things–there were three. One was bigger and kind of bossy, but the littlest one was lowly and kind. Love your descriptions and memory, Jan. I got such a vivid picture as I read. Thank you for reading—and letting me know you’re reading!! Julie your post inspired me this morning. I had planned on riding (bicycle) but was considering not since it is so cold out. But reading about the animals and donkey made me want to go after all and take the little bit longer than normal route so I could look at the little farm that has one fenced area with goats and another that has a donkey grazing with their handful of cows. So, I went after all. The donkey was not with the cows today. But! Shortly beyond there I turn around and head back. And I saw a different house that had 8 donkeys in the yard. Guess what? One of them was spotted! I’ve never known about those donkeys or seen a spotted one before. Amazing! No way, Kim!!!!!!!!!! I can’t believe it!!!!! First of all, it just blows me away that you changed your plans and took another route. And then, lo and behold, you spotted 8 donkeys and one with spots. This makes my day. I’m not the only one who’s never seen a spotted donkey. Julie–and thanks for sharing a piece of your Joy with us. Being a writer is tough work. I wrote recently to a group of workshoppers in a get-to-know-you bio that I’m excited that we work for GP. I also admitted that IMHO it takes guts to put ourselves out there, moxie to submit, and balls to go through the revision process. That’s when I cringe and want to become a spotted donkey…one that roams the fields with others but is one that no one really notices. But then….God whispers…and I listen. And once more I must have guts, moxie, and balls. ; o ) And become a spotted donkey that people see. This is absolutely beautiful, B.J. Oh, boy, is writing hard. You’re SO right. And the flip-side of being a spotted donkey is that people DO see us. We aren’t invisible. And God helps us learn to love our spots. And even be brave and let other people see us. There is no spot, where God is not” I’ve carried this with me all of my life. Love your blogs and stories in my Guideposts magazines. Love, love, love what you said, Merilee! Thank you for your words and for letting me know you’re reading. Love everything about this post! I especially love that you reminded me that He is in the field with us…always near. He sure is, isn’t He, Dee Dee. Love you my friend. Wish we could sit and talk and talk and talk. Guess what, Shelli? I thought about you when I first saw the donkey…even wondered if it was a goat. 🙂 I thought about all your animals and how much you love them. I don’t think I’ll ever drive down our street again without looking for that sweet donkey. She taught me so much. Thank you for being you. I love your tender heart. What a sweet donkey! It made me think of a totally different animal in the equine family – a pony named Betty. This cantankerous, mean-spirited beast actually chased my mother right into the cabin where we vacationed every summer! On a different topic, I don’t think this fits exactly, but when thinking on things we miss in our daily walk through this earthly life, I’ve discovered an amazing world in Psalm 119. A few months ago, I began the practice of meditating on scripture, something I’ve wanted to do for years. I decided to begin with Psalm 119, and since I’m a “words person” who loves looking up meanings for little words like “if” and “it,” I tried an exercise I’d done in the past. Each day I meditate, I write the verse out in a steno book, one word per line on one side of the page. Then, I read the verse aloud as many times as there are words in it, each time emphasizing the next word. It’s amazing how much insight we can get from a line by doing this, whether a scripture verse, a line in a poem, or a random “thought for the day.” I write my thoughts about the emphasized word in the column across from it, sometimes looking it up to see the actual definition or checking its synonyms. Most days, the Holy Spirit has something to teach me from one or more of the words. I LOVE this practice and miss days when I do not get to do it. Give it a try! Start with this simple verse from John: “Thy Word is truth.” Repeat it aloud four times, each time emphasizing the next word. If need be, look the word up in your favorite dictionary. “THY Word is truth!” This makes me think about how every word of the Bible was breathed into existence by the Spirit! “Thy WORD is truth!” Not only the words of Scripture, but Jesus Himself! “Thy Word IS truth!” Not “was,” as in only for times of old; not “will be,” as in prophetic words revealed. But it IS – now, this moment, for something we need THIS day! And finally, “Thy Word is TRUTH!” Every single word rings out with that message: factual, exact, authentic, not to be disputed, never-changing, absolute TRUTH! And on that, we can meditate and know He loves us enough to BE that TRUTH for us, in us, through us…forever. Cathy!!!!! You’ll never believe this, but Saturday, I’m speaking at a Ladies’ Retreat on Praying the Psalms. So this registered with my heart big time!! LOVE, LOVE, LOVE your idea. I’ve never divided it into word-by-word prayer and Bible Study. ohhhh, thank you, Cathy. Means so much! Our steps are truly ordered by God, I believe nothing happens buy stance. 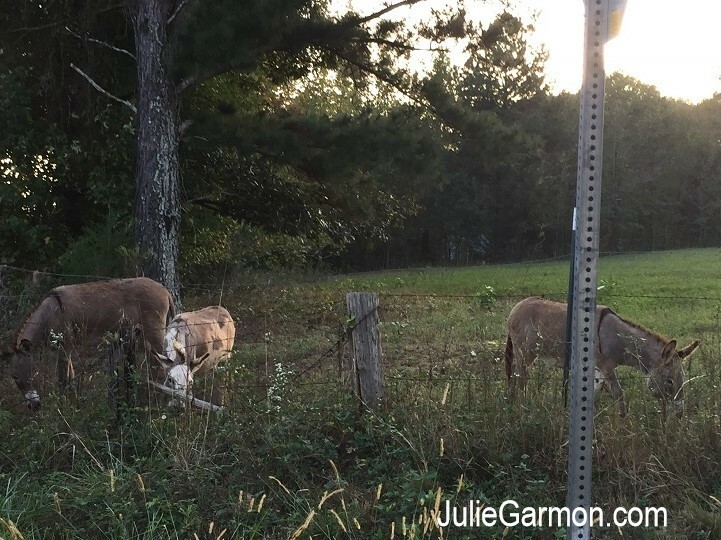 What a beautiful lesson for us all, I am so thankful that God keeps his eye on this spotted donkey,and thankful you stopped and noticed and listened to the Holy Spirt’s voice. 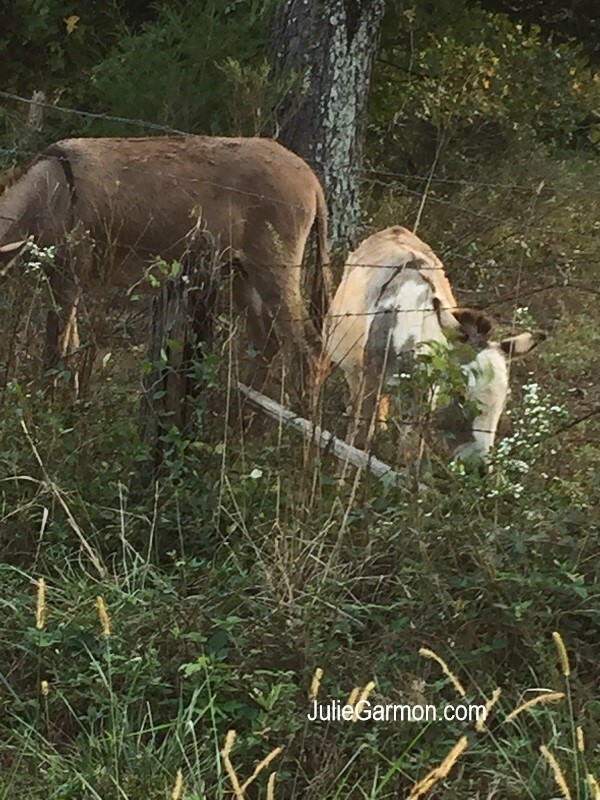 As a keeper of seven donkeys with two more on the way, I indeed know about the spotted donkey, we had a rare donkey born on the farm this year, a white donkey with blue eyes! Always a joy to visit and always leave so blessed, encouraged, and motivated. Sue!!! You’re kidding! You have donkeys?! I’d love to see a white donkey with blue eyes. How beautiful he/she must be. I’ve always been curious about donkeys. They seem to be such a humble creature, content to be in the background of majestic horses. Julie, such beautiful words that I needed to hear today! Jesus made his triumphant entry into Jerusalem on a donkey, Mary and Joseph arrived in Bethlehem with a donkey, and most likely fled to Egypt with the same donkey and then returned to Nazareth when it was safe. I always felt that donkeys played a large role in the Bible. I think they are very humble, but also strong and gentle just like the character of Jesus as he was to His disciples. How is Katie? How are you and Rick? Patricia I completely agree, and I’ve never thought about how Jesus’ characteristics are like the donkey. Just beautiful…. Kate’s doing just fine. We went to church with Katie and her family this past Sunday. Thank you! I’ll never look at a donkey without smiling!! Hugs, Patricia. You are sooooo special to me. Even though I do not often comment, I look forward to your blog posts and the comments that the ladies make on their observations of what you write. Today I thought about how I miss so many things because of the busyness of life–like your wanting to get something to eat. There will always be a need to get something to eat, but not always a moment in time that the Lord reveals a spiritual truth in the beauty of a spotted donkey against the vibrant horizon of a sunset. As with CathyMayfield, the Lord has put a desire to meditate on His Word more throughout my day. This causes me to take that moment to be still in the busyness of life and observe His presence around me–one of encouragement and strength in this journey called life. You and your ladies are also those encouragers. May He show His grace in your life today, Julie. You’re on to something huge. Yes! Those moments when we can slow down the world and be in His Presence, well, nothing compares to Him. Thank you for letting me know you’re reading, and for how this post affected you. And I’ll never see a donkey without being grateful and slowing down–at least for a moment. Even in what we think is the ordinary, God whips up a beautiful surprise, out comes the extraordinary. Sometimes I’m too engrossed in my thoughts I don’t get to enjoy my surrounding. So guilty of that. Nice view of twilight! Love your thoughts, as always, Lux. Thank you!